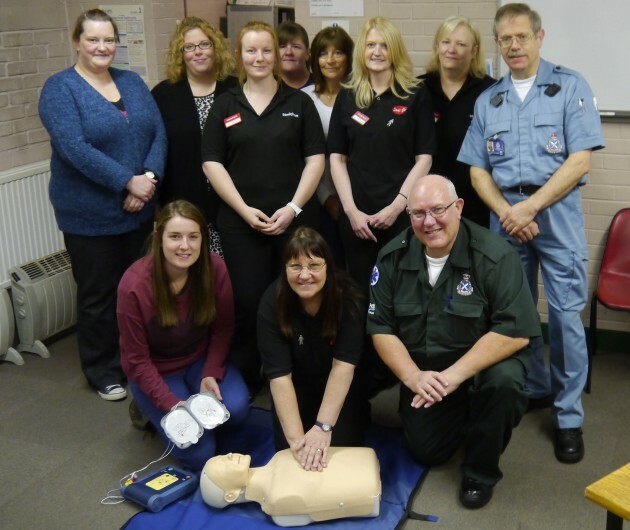 Staff completed their defibrillator training with the Scottish Ambulance Service. “The roll out of this public access defibrillator programme has made a positive contribution to safer and sustainable communities around the country. " Staff from the Scotmid Co-operative family of businesses came together last night (28 October 2013) at the Scottish Ambulance Service Headquarters in Dundee for a refresher course in operating in-store defibrillators. Team members from Scotmid Clepington Road, Semichem Wellgate Centre and Semichem Lochee were trained by Stuart Ballantyne and Rupert Wilson from the Scottish Ambulance Service, ensuring that their life saving skills were brought up to date and store teams are ready to deal with the worst kind of first aid emergencies in their stores. In a unique national partnership between Scotmid and the Scottish Ambulance Service, 35 Community Public Access Defibrillators have been placed in Scotmid Co-operative owned businesses across the country including Scotmid, Semichem and The Fragrance House stores. An additional ten stores will be selected for a further roll out in the coming months. The chance of survival from a cardiac arrest is much greater when a patient receives early defibrillation, quickly followed up by advance cardiac care from an ambulance team.